Robert Fisk's explosive Pity the Nation recounts Sharon and Arafat's first deadly encounter in Lebanon in the early 1980s. 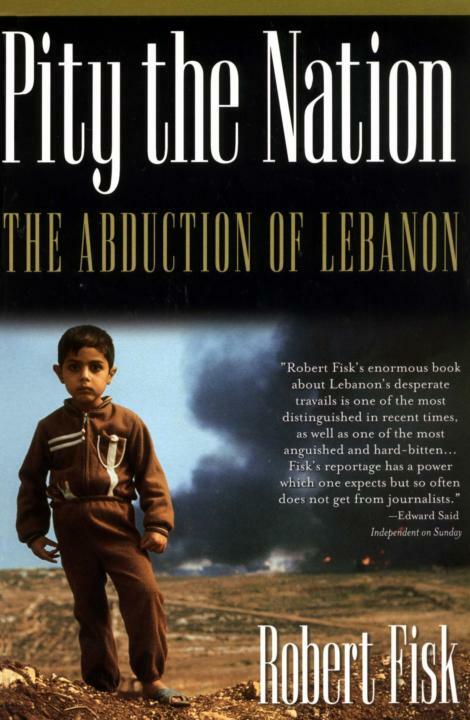 A remarkable combination of war reporting and analysis by an author who has witnessed the carnage of Beirut for twenty-five years, Fisk, the first journalist to whom bin Laden announced his jihad against the U.S., is one of the world's most fearless and honored foreign correspondents. He spares no one in this saga of the civil war and subsequent Israeli invasion: the PLO, whose thuggish behavior alienated most Lebanese; the various Lebanese factions, whose appalling brutality spared no one; the Syrians, who supported first the Christians and then the Muslims in their attempt to control Lebanon; and the Israelis, who tried to install their own puppets and, with their 1982 invasion, committed massive war crimes of their own. It includes a moving finale that recounts the travails of Fisk's friend Terry Anderson who was kidnapped by Hezbollah and spent 2,454 days in captivity.